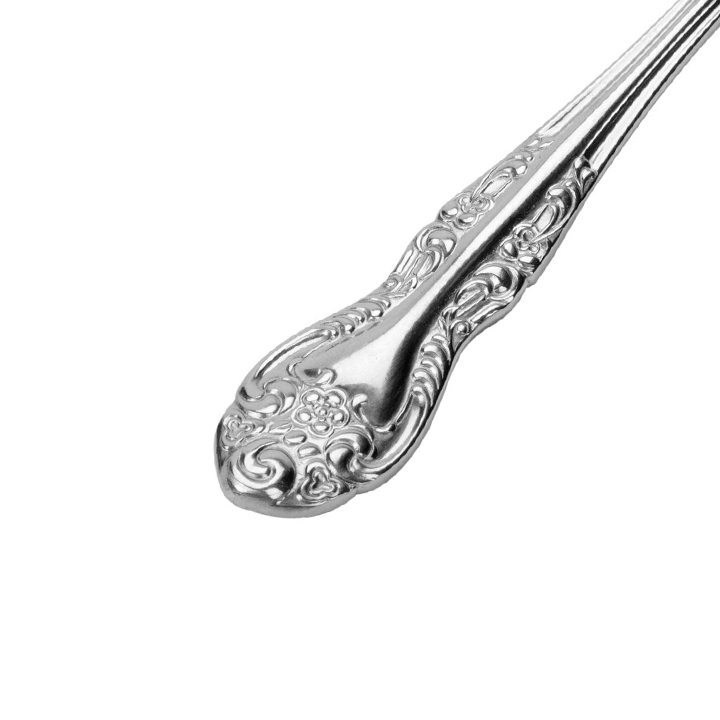 When you are planning an upscale event, including a wedding or black-tie social, the "Regency" pattern is the ideal choice for flatware. The handles are beautifully decorated with an ornate design, which oozes antique charm and regal elegance. 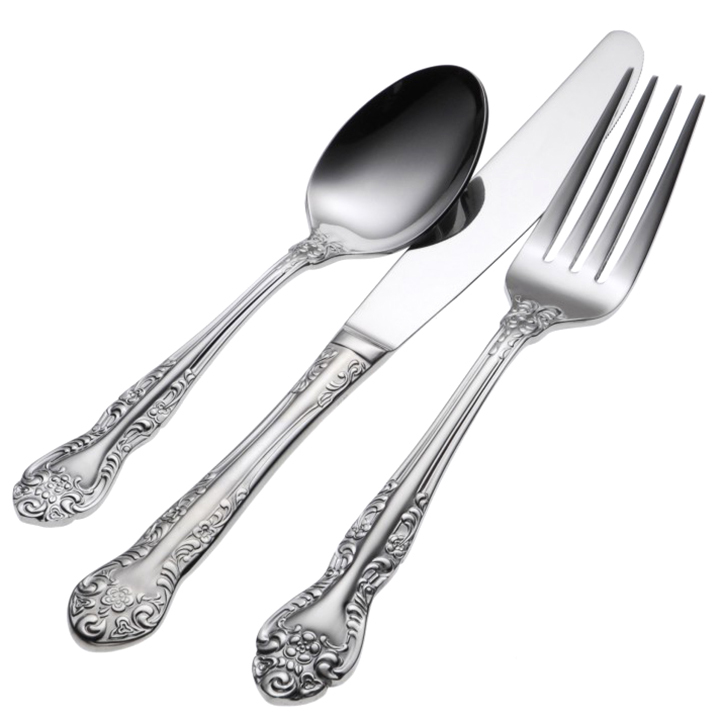 Thanks to the stainless steel material, all pieces will retain a shine that flashes with class.